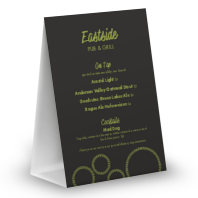 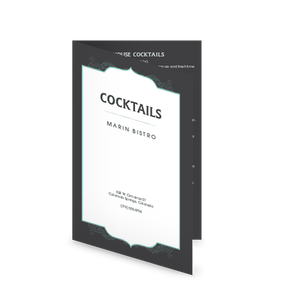 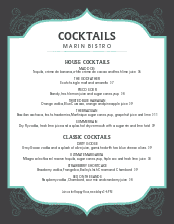 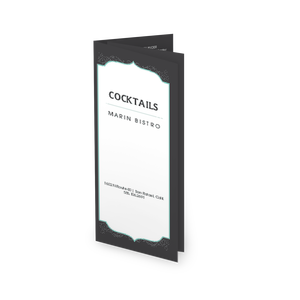 A sophisticated vintage style Cocktail design offered in a table tent template. 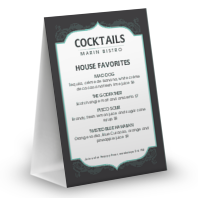 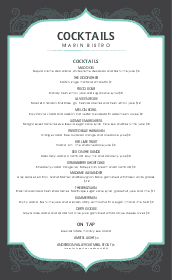 Cocktails, desserts, or drink specials are showcased on this striking design in gray and white with teal accents. 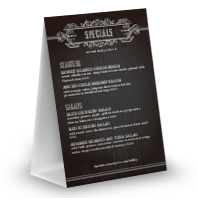 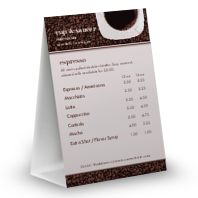 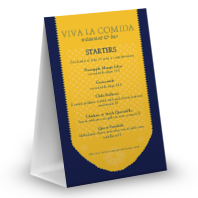 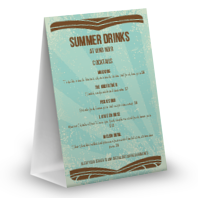 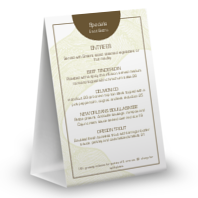 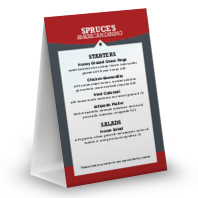 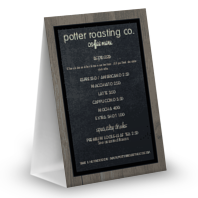 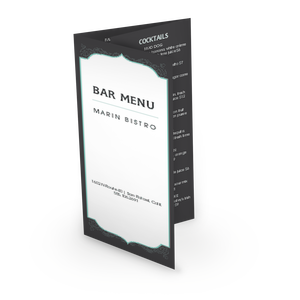 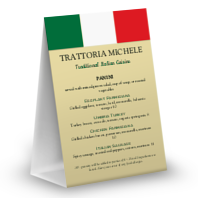 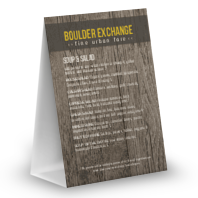 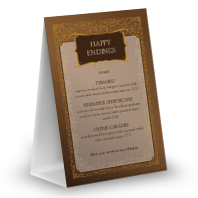 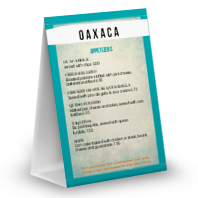 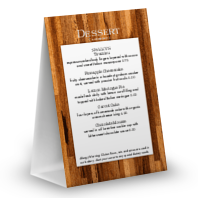 Create your own table tent in the online Menu Maker.